Fritters in Indian version is mostly deep fried in oil but baking makes it easier and a guilt free,oil free snack.Avocado fritters sounds interesting ryt? 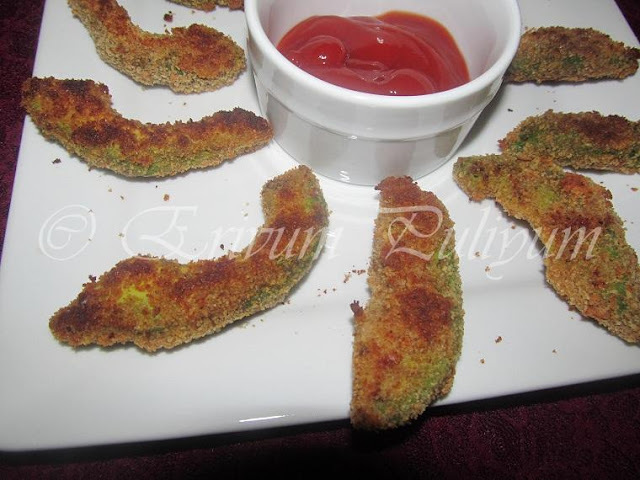 Yes,its indeed a varied experience of fritters with crisp outside cover with chewy bites inside.But definitely all will love it for sure.This is a recipe dedicated to all avocado lovers,I have joined the club lately but its good to be with avocado team (just kidding).This post is in my draft since long but each time I make these they vanish before they reach the table and am devoid of a click.Finally now only did I got the photos to post.The fritters mostly were gulped by my little ones,they just loved that experience.Check this out frenz,its very simple for a lovely tea time snack!! -Wash the avocado and cut into half,twist and turn to release one half from seed.Poke a sharp knife in the seed and gently lift it up without disturbing the pulp. -Make straight lines in the pulp with a knife gently (like we cut potatoes for french fries) The knife shouldn't reach the skin and tear.Gently remove the outer skin and this will separate out the long cut pieces.Coat the slices with the spices and salt. 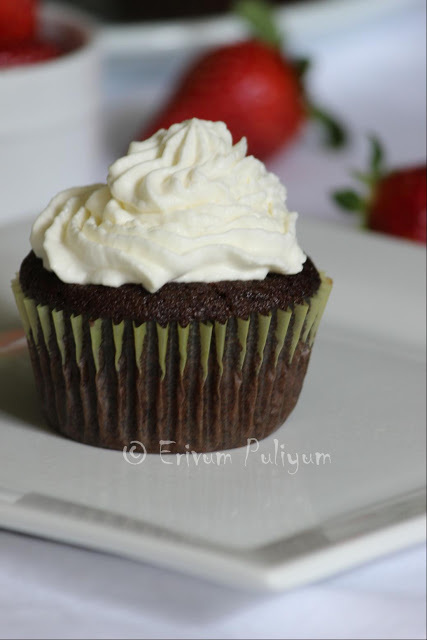 -Make a paste using the corn flour and all purpose flour not very thin. -Pre heat oven to 400 degrees F and spray a tray with cooking oil or line with olive oil. 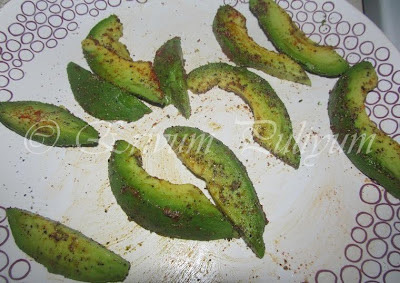 -Now,dip each coated avocado slice in the mixture.Remove and roll in bread crumbs. -Place it on the tray and repeat for other pieces. -Place it in the oven for 15 minutes,remove and flip the other side and bake for another 5-7 minutes. -Serve it with ranch or ketchup!! * You can add in your desired spices.And you can either add spices to the flour mix to coat too. * The fritters are crisp outside and chewy inside. * You can use an egg white if you're not comfortable with the all purpose flour & corn flour mixture. I love avocado and so I will love these fritters too! Am surprised to see then so firm after baking! A must try! Thank you for sharing! 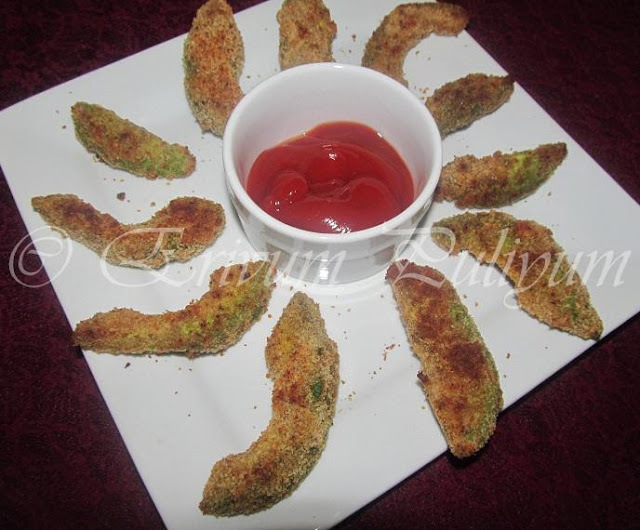 Baked fritters, wat a guilt free snacks..
sounds interesting, I have not tried avocado served this way yet! hi julie, i am an ardent avocado eater- especially avocado fresh juice with maple syrup. over here avocado is so expensive- about usd 1.40 for each small size fruit. Julie avocado is a regular in my house hold and this is such a wonderful idea. 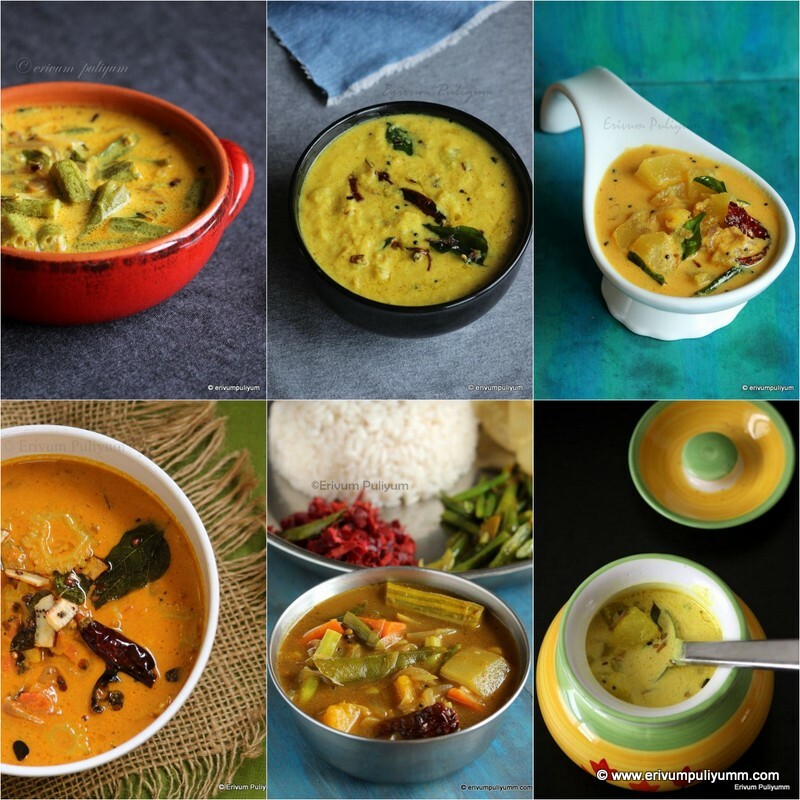 Very innovative and simply fantastic recipe. We have been eating a lot of avocados lately too! Never thought to prepare them like this...great idea! Nice change from just using avocados for guacamole. thanks for sharing a healthy snack. I do love the creamy texture of avocado. This is so unique, Julie, great job- this and the avocado chutney is a far ( and delicious) cry from your everyday guacamole. A must-try! Julie, I love avocado and I am going to make it soon. This is a very cool recipe. thanks for sharing.Bookmarked it. Now a days Avocado's became my Favorite fruit :) Very innovative n healthy preparation dear!! So healthy and delicious, on my list Julie.. Healthy and perfect teatime snack. What a wonderful idea Julie! This looks very interesting Julie! Never heard of avocado fritters! and they look yum! 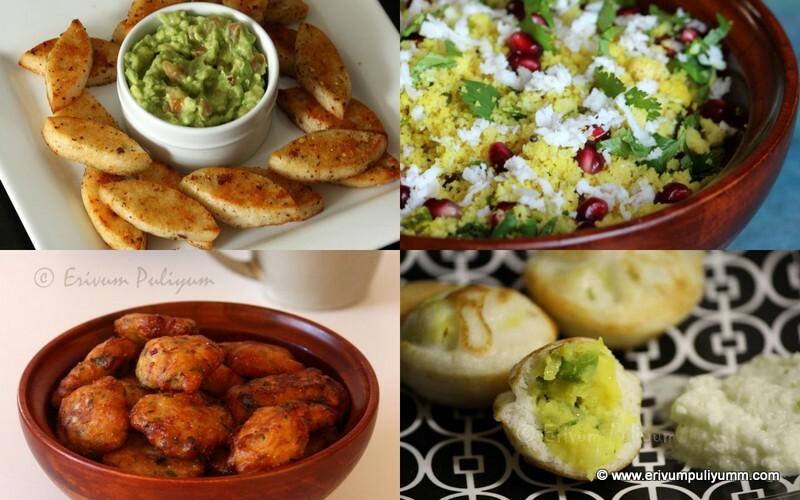 I didn't even know you can fry avocado...have to try it! Delicious and healthy!My kind of snack :)Love it!! love pictures on your blog :) very nice layout. super idea julie...i love avocado...even my 9 mnth old loves it :-) ithu njan try chueym, definite!! WOW! I had no idea you could make fritters with avocado; sure looks good. great way to enjoy this healthy fruit..
Tasty and healthy version!! I would love to taste this! !